Two dozen people attended Friday's task force meeting. A few carried signs: We Demand Safe Water; another read Stop Poisoning Our Children. As an interim measure, Mayor Barrett recommended people in the affected homes install filters on the faucets that provide their water for drinking and cooking. In the coming days, the city will begin distributing filters to low-income homes. But a myriad of challenges face officials trying to come up with a plan to replace the lead laterals. If both the public and the property owners’ sides aren’t replaced at the same time, the risk of a spike in lead levels increases and families remain vulnerable to exposure. And the city cannot require a property owner to comply at this point. 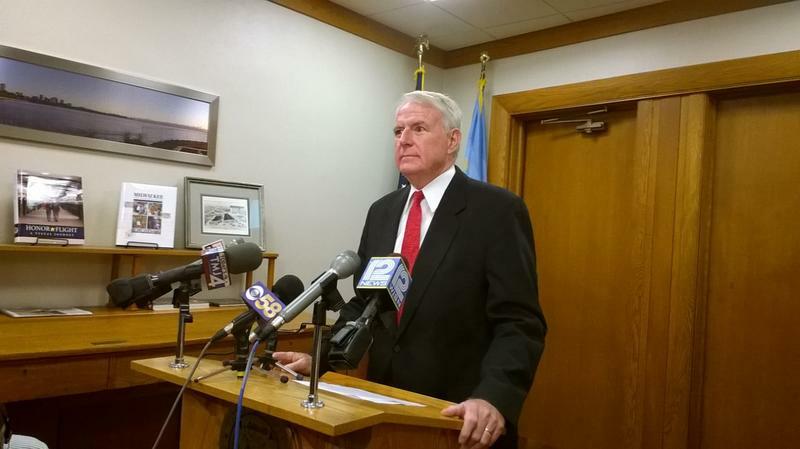 Mayor Barrett’s 2017 budget calls for the city to come up with a comprehensive plan for it to replace the public portion of lead pipe, while property owners would cover the cost of replacing theirs. Today, the city’s Common Council Finance & Personnel Committee is scheduled to take up the proposal, but it already drew reaction last week at the monthly meeting of the city’s Water Quality Task Force. Aaron Szopinski, the mayor’s research and policy coordinator, told the task force he’s been looking for ways to overcome obstacles to ensure whenever lateral work is done, crews replace the full line. Because some people wouldn’t be able to afford the cost, the city would cover a sizeable chunk of the bill and would allow property owners to spread their portion out. “Less than $20 on an extended installment plan to have the work done lickety split, and we will coordinate the construction for you,” Szopinski said. Task Force member Dr. Patricia McManus says even $20 a month is a burden many families could not absorb. She heads the Black Health Coalition of Wisconsin. Property owners who resist compliance could be fined by the city, which ultimately could shut off water service. When punitive measures are imposed, they would apply to homeowners and landlords alike. Bevan Baker, commissioner of the Milwaukee health department, reminded fellow task force members the proposal is simply a draft. “My advocacy is for the best city ordinance that allows us to hold accountable those landlords. We don’t want to interrupt anyone. I would not support turning off water in any case,” Baker said. 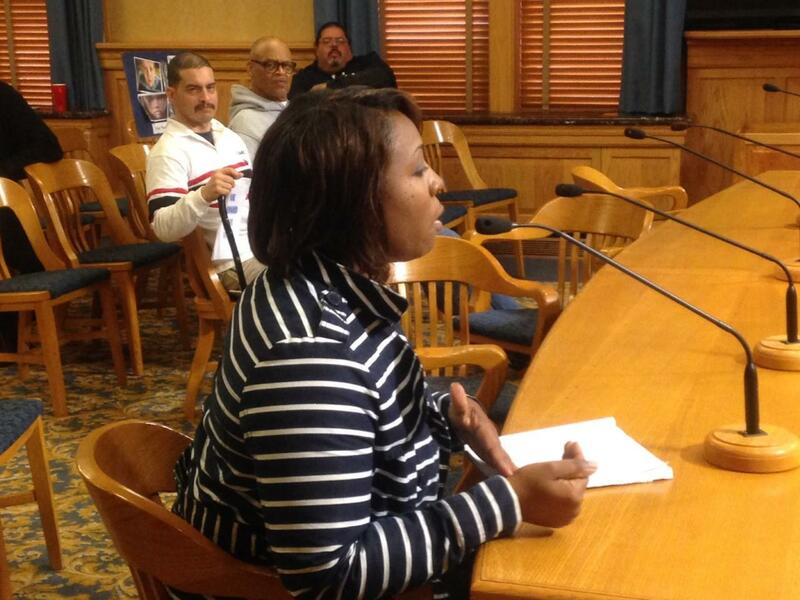 Milwaukee resident Kimberly Thomas-Britt was among a group of people observing the task force meeting. She urged the group to factor in the views and concerns of residents citywide. “It’s always to important to get those who are going to be affected, and those who are professionals input into things that are going to affect them, affect the public,” Thomas Britt said. Concerned members of the public are likely to weigh in at this afternoon’s Finance & Personnel Committee, as a growing sense of urgency seems to be building around the public health issue. Many Milwaukeeans now know that approximately 70,000 older homes in Milwaukee have lead service lines, meaning lead could be mixing with tap water. Mayor Tom Barrett suggested a couple months ago that people living in homes built before 1951 filter their drinking water. On Monday, local leaders announced the first steps in making Barrett’s suggestion a reality. The commissioner of the Milwaukee Health Department Bevan Baker made the announcement. Several groups in Milwaukee are stepping forward to help low-income households with young children purchase water filters. It's all about helping reduce kids’ exposure to lead. Mayor Barrett recommended, a few weeks ago, that people living in houses built before 1951 buy water filters. The reason – the pipes leading into those homes may contain lead, and lead exposure can cause serious developmental problems, especially in young children. During his budget address Monday, Mayor Tom Barrett’s says replacing lead laterals of 70,000 homes would cost $770 million. - Allocating $5.2 million to remove lead lines at 385 day care facilities in 2016-2017. - 2017 budget includes funding to cover approximately 300 residential lines when they leak or fail. The Common Council is responding to the city’s deteriorating water infrastructure by creating a task force to examine the daunting challenges. The Water Quality Task Force met for the first time Friday morning. Its chair, Alderman Jim Bohl, says he doesn’t intend to leave any source of lead contamination unturned. His strategy includes looking at national research.